As my boys get older I find it has opened up a whole new world of things we can do during the summer holidays. 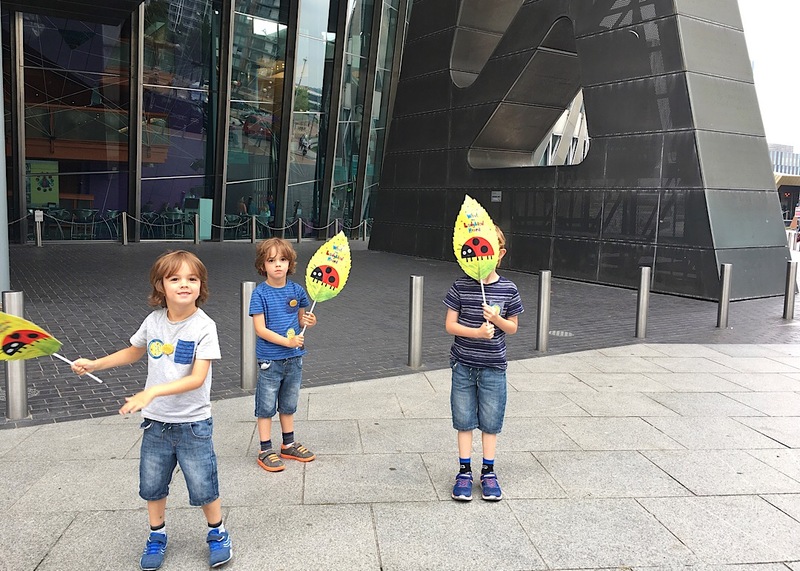 Visiting the theatre is something that we love to do as a family and we were lucky enough to be invited along to The Lowry to see one of the children’s productions currently showing there. What The Ladybird Heard is based on the brilliant children’s story by Julia Donaldson; my children have all read it in school but I actually didn’t know it so I wasn’t sure what to expect. 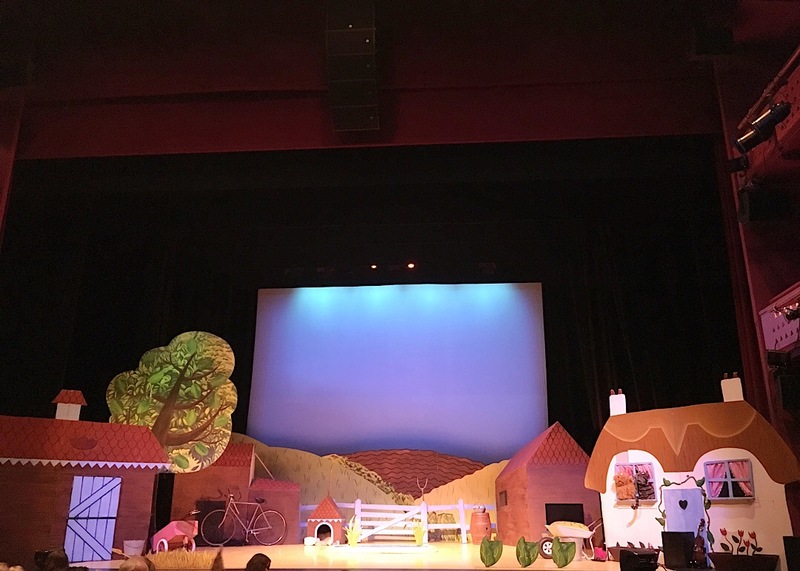 The show open ups and is set on a fun and colourful farmyard with puppet animals, live music and plenty of song and dance. Two robbers, Hefty Hugh and Lanky Len are plotting to steal the prize cow but the Ladybird has a plan to stop them and all the animals are going to help. Even before the show began the boys were looking at the stage and pointing out what they could see up there. The four main actors do a great job of keeping the energy up and is a fantastically engaging show. It is only about an hour long which means at no point does it feel as if it’s dragging on. My boys were interested all the way through and barely looked away from the stage. It wasn’t much different for us adults and other than watching my eldest giggling his way through, the show easily held my interest which doesn’t happen all that often when you go to watch a children’s production! I must admit I don’t often go to these shows expecting to enjoy them, obviously we go for the boys to have a good time and they aren’t aimed at the adults. However, with What The Ladybird Heard both me and my husband came out and said how much we loved it! It was with great surprise that we admitted to enjoying it so much, in fact I would happily go and watch it again! I love the way that the actors chatted to the audience and it created such a fun atmosphere inside the theatre. Everything was so well thought out; the songs were catchy and easy to join in with, the building of the puppets on stage was fascinating and it was great to hear the children shouting out trying to guess what they were making. They played instruments, danced fun routines and kept us laughing all the way through. I would happily recommend this show to anyone; it’s aimed at 3+ and was perfect for my boys at 4 and 7. As well as being a wonderful production it’s great to go and see it at The Lowry. 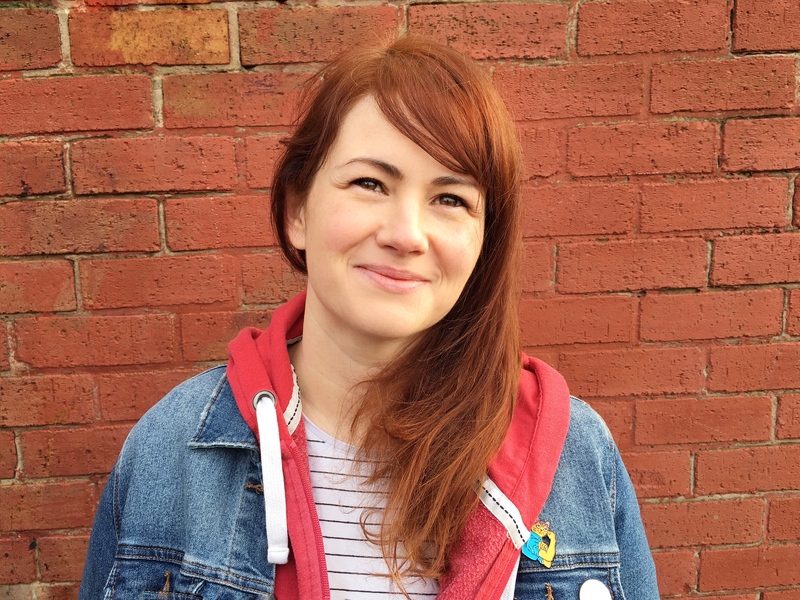 It’s a fantastic space; the children’s shows are generally in the smaller theatre, The Quays Theatre, which I find easier when you have children as it isn’t too overwhelming. All the staff we came across were lovely; they chatted to the children and helped us with booster seats and finding the best way to our seats. As it’s a modern theatre it’s nice and roomy and easy to get around as well as having funky art and design (with a couple of bee’s to spot as part of the Manchester Bee In The City Trail). What The Ladybird Heard is on twice a day at The Lowry until 26th August and it makes a brilliant summer holiday family treat. You can buy tickets online or by phoning the box office. Thank you to The Lowry for providing us with complimentary tickets. As always all words and opinions are my own.